I say this all the time but honestly this show was probably the best show I’ve been to all year. These 3 artists blew me away. I had the biggest smile on my face all night. They sounded perfect. Also, I loved the way they got the crowd going. That’s what I wanna see at all the shows. A lot of shows that I’ve gone to, they never really made me want to scream. jump, and dance. This is what I expect at all shows! Great energy! Boyce Avenue definitely was my favorite. Each song they performed I could see and feel how much they love what they are doing. Believe it or not, you can feel if a person is really passionate about what they are doing by the way they perform. If I could, I would be at every one of their shows. I definitely got lost in the music. 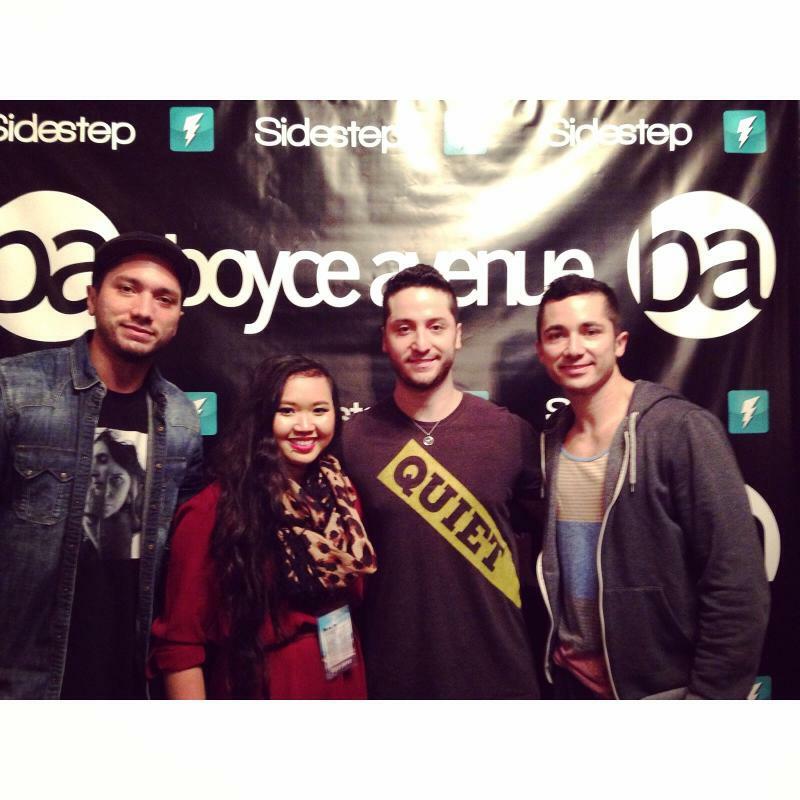 Boyce Avenue is one band that I would recommend you see. They are known for a lot of their cover songs but I love their original songs too. I thought they did a great job by rotating between their songs and the cover songs. Definitely kept everyone going. My favorite orginal songs of Boyce Avenue are “Broken Angel” and “I’ll Be The One.” Go check them all out! If they are playing a show near you go out and support all of them!